FC Schalke 04 have confirmed that Jochen Schneider will become their new head of sport this summer, with his first job to replace Christian Heidel as the club's sporting director at the end of the season. Their current chief announced his intentions to step down this summer during their most recent match against Mainz, a game which was a homecoming for Heidel as he previously spent 24 years along the Rhine River. The club have wasted no time in building for the future, however, and they confirmed on Monday that RB Leipzig's Schneider will come in to help fill Heidel's boots next season. Schalke's supervisory board chairman Clemens Tönnies recommended Schneider to the club's board and the appointment has been approved. "Our new Head of Sport had to be the following things: an experienced footballing expert, who has a first-class network in national and international football, as well as somehow who has enjoyed success in the past few years. Jochen Schneider fulfilled all of those requirements," Tönnies said in the club's announcement. The 48-year-old is currently working as a coordinator with four of Red Bull's footballing projects, including in Salzburg, New York and Brazil. But Schneider does have experience working as a sporting director having previously worked at VfB Stuttgart, who themselves recently appointed for Aston Villa midfielder Thomas Hitzlsperger as their new sporting director. He was part of the Stuttgart side that won the Bundesliga title back in 2007. "To take this role at FC Schalke 04 is a huge honour, but also a massive challenge. 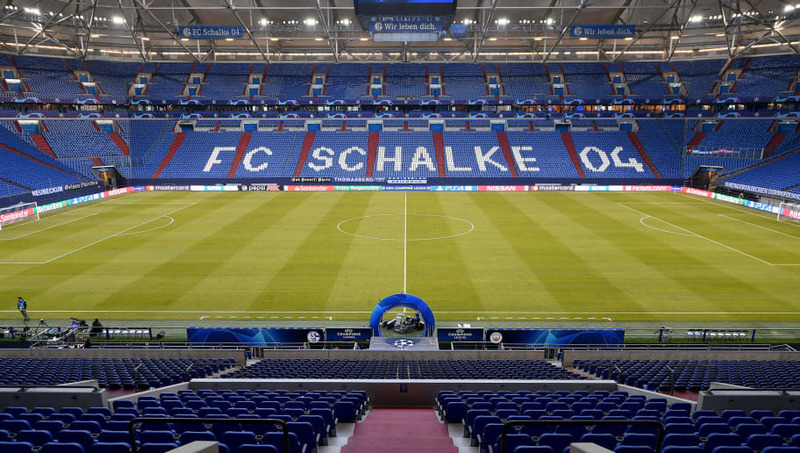 There’s something special about Schalke, which can be seen in the Ruhr area and the rest of Germany too," Schneider added after his appointment was confirmed. "It’s clear that there is a lot of work to be done because of the current situation. Nevertheless, I’m still excited to be working with this club in the future." Heidel's sudden announcement last weekend came as somewhat of a surprise even though Schalke's form this season has been in the gutter, but many now predict that the Schalke chief - who has been in charge since 2016 - will return to Mainz at the end of the season. He is credited with bringing through managers like Jürgen Klopp and Thomas Tuchel whilst in charge at Mainz. Heidel's eye for a manager didn't go away when he moved to Schalke either, as Domenico Tedesco was brought in and guided the Royal Blues to second place last season.